Shareholder activists are making their presence felt in new ways. As more types of funds make their voices heard in corporate boardrooms, companies of all sizes are being forced to prepare for the possibility of an activist approach. New factors, such as calls for a greater emphasis on environmental, social and governance (ESG) issues, are changing the game as well. 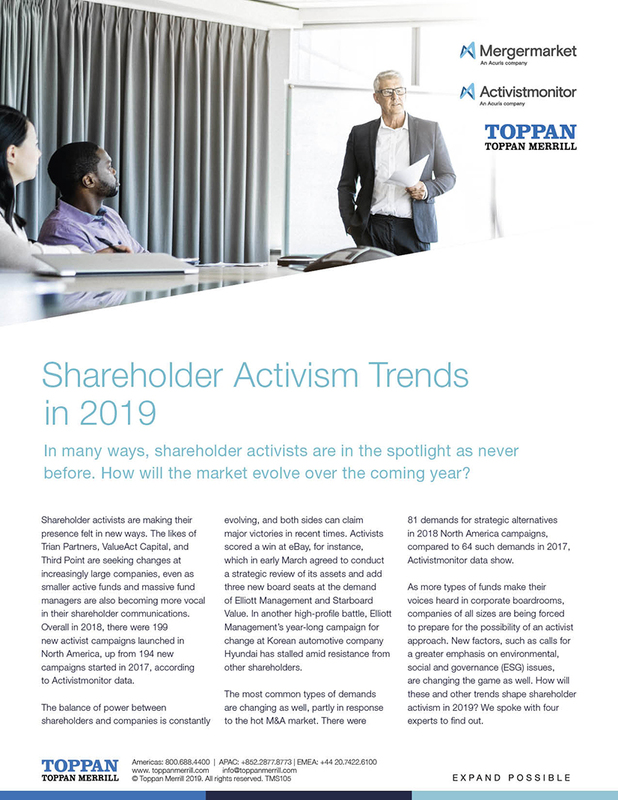 For this newsletter, we asked four experts to share their insights into how shareholder activism will impact dealmaking in 2019. 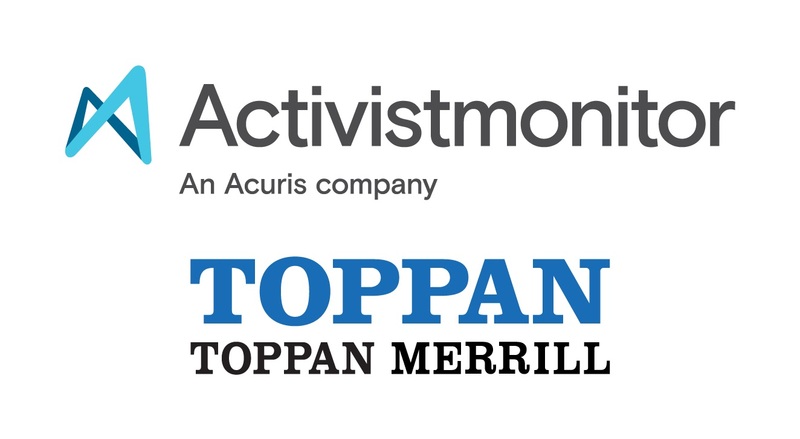 Presented by Toppan Merrill, in partnership with Mergermarket and Activistmonitor. • Will new types of funds, such as mutual funds, continue to take activist stances, and what is driving this trend? • How are the tactics used by companies to defend against activists evolving? Are there new techniques that are proving to be effective? • How effective is the current shareholder proposal system at balancing the interests of activists and companies?